BONN, Germany, 2015-7-10 — /Travel PR News/ — The Grandhotel Petersberg in Bonn-Königswinter is a building steeped in history which has formed part of the Steigenberger Hotel Group portfolio for 25 years. It has now been scheduled for modernisation and will remain open for business whilst renovation works take place. The Federal Government, which also uses the site as its official guesthouse, will be contributing €35 million to the project. The room capacity of the Grandhotel will be expanded from 99 to 111. Air conditioning and modern fixtures and fittings will be installed in all rooms. The hotel’s restaurants and public areas will also be renovated and redesigned, and guests will be able to use a new outdoor pavilion. A complete modernisation of building services and of the sewage system will ensure uniform high standards throughout. Construction works will commence in 2016 and will be conducted in stages in order to allow the hotel to continue to operate. Areas will be handed back as they are completed. The whole programme is expected to be concluded by the end of 2017. 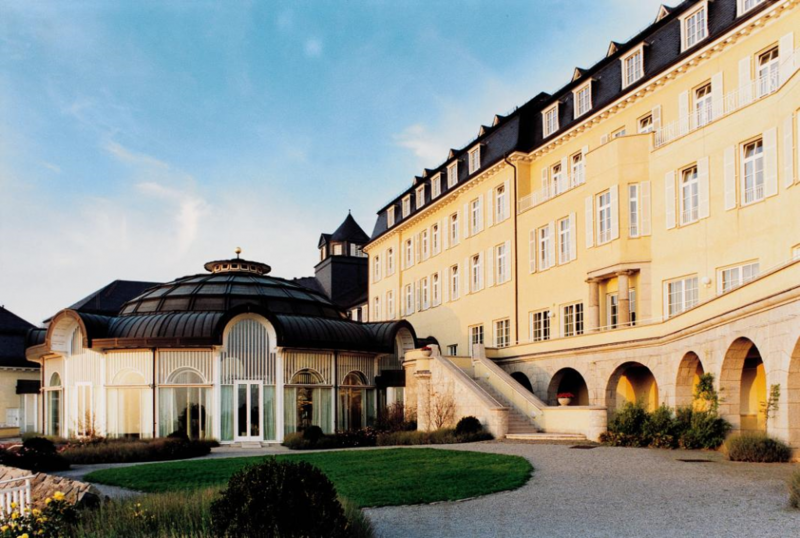 This entry was posted in Hospitality, Hotels, Travel Management, Travelers and tagged Matthias Heck, Steigenberger Grandhotel Petersberg in Bonn-Königswinter, Steigenberger Hotel Group. Bookmark the permalink.